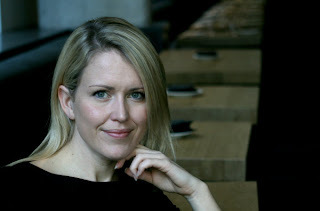 Professors blogg proudly presents a new masterly and thought-provoking piece by our distinguished guest columnist Jennifer Robinson. Jennifer is a London-based media and human rights lawyer who advises Julian Assange and WikiLeaks. During a chance encounter at Sundance, the author pressed Attorney General Eric Holder about his plans for WikiLeaks founder Julian Assange -- and his legacy. The article is a cross-publication of the article in Salon "When a WikiLeaks lawyer runs into Eric Holder"
“Slavery by Another Name,” a documentary based on the 2009 Pulitzer Prize-winning book by Douglas Blackmon, premiered this year at the Sundance Film Festival. The story was new to me: Between the Emancipation Proclamation and the beginning of World War II, tens of thousands of African-Americans were arrested on phony charges, slapped with massive fines they could not pay, and then sold into labor to some of the biggest industries in the country to work off their debt. I didn’t expect to learn that slavery essentially continued for decades after the Civil War. And I also didn’t expect – on vacation from my legal work advising WikiLeaks and Julian Assange — to bump into Attorney General Eric Holder. Having spent the week before Christmas at Fort Meade, Md., attending the Pvt. Bradley Manning hearing – Manning is charged with passing classified material to WikiLeaks — I knew what I had to ask him. As the last of the audience settled into their seats, the woman in front of me turned and took photos of people behind me. It was subtle, but others looked their way and smiled, nodding in acknowledgment. Not subtle enough. I turned too. I noticed a smiling, handsome African-American couple two rows back. On many occasions, I’ve been asked in interviews to respond to Holder’s public statements about the U.S. government’s criminal investigation into Assange and WikiLeaks. But there he was, in person, just steps away. I could not pass up this opportunity. In November 2010, Holder announced a full criminal investigation into WikiLeaks, aimed at prosecuting Assange over the release of thousands of cables that embarrassed the U.S. government by revealing candid discussions among diplomats and corruption and human rights abuse around the world. Since that time, we learned of a secret grand jury investigation in Virginia. WikiLeaks supporters’ Twitter accounts have been subpoenaed. Media reports have long speculated about Assange’s imminent indictment in the U.S., possibly under the Espionage Act. (Assange is currently under house arrest in the U.K. pending his appeal of a decision that he be extradited to Sweden to face sexual assault charges.) A key concern is the threat of onward extradition from Sweden to the U.S. where Assange – based on Holder’s earlier announcements – risks being prosecuted for his work as editor and publisher of WikiLeaks, activity that we believe is protected by the First Amendment. Holder has refrained from making public comments about WikiLeaks of late, leading many to believe the U.S. might not prosecute Assange. But it was apparent during the Manning hearing that concerns about the U.S. seeking Assange’s extradition are justified. Repeated references were made to the relationship between the Manning proceedings and the Justice Department’s ongoing criminal investigation into Assange and WikiLeaks. Manning’s defense counsel stated explicitly that the Justice Department had an interest in plea-bargaining with Manning in order to get him to implicate Assange, and argued that the number of charges against Manning (particularly those carrying life imprisonment) was designed to pressure him into making a deal. Government officials seated behind the prosecution were suspected of involvement in the grand jury process, but refused to identify themselves to us or to journalists. One was later identified as the Justice Department lawyer responsible for the WikiLeaks-related Twitter subpoenas. The grand jury is secret. Government lawyers at the Manning proceedings – a public hearing – refused to identify themselves or state their interest. Our appeals to military courts for full access to the Manning proceedings, the court documents and the evidence have been denied. The Australian government claims to have no information from the U.S. as to whether they will prosecute Assange and seek his extradition, but it does not appear to have asked for that information or sought any diplomatic assurances from the U.K., Sweden or the U.S. that Assange be able to travel home to Australia after the Sweden case is resolved. WikiLeaks, the world’s most famous/infamous source of information, and its lawyers are, ironically, short on necessary information. Who better to ask for that information than the attorney general himself? As the lights dimmed and the film began, I wondered: How could I speak to Eric Holder? Soon, however, I was overwhelmed by Pollard’s compelling film. Casting a light on the murky period between the end of the Civil War and the beginning of the modern civil rights movement, the film documents how the practices of convict labor rendered the 13th Amendment’s protections meaningless for millions of African-Americans living in the South. These facts come alive through Pollard’s interviews with the ancestors of African-Americans who suffered during this period, emphasizing how these practices are part of living memory. Among them is Dr. Sharon Malone, the attorney general’s wife. She speaks eloquently about her uncle, who was born nearly 30 years after slavery ostensibly ended, but was one of the thousands pulled back into the forced labor system. Her testimony is powerful, and makes clear that every Southerner’s life is touched by this history, whether black or white. What struck me most watching the film was the shameful inaction of the federal government and, specifically, the Justice Department, in failing to prosecute those responsible or taking action to end these practices, which continued for more than 80 years after the supposed abolition of slavery. While considering the historical legacy of that shameful inaction, I began to think about Eric Holder’s legacy — and the irony of his support for a film about the need to look back in order to look forward. After all, the film laments government inaction on slavery at the turn of the century. Today we lament Holder’s inaction on torture. While CIA torturers receive immunity from prosecution, Holder just announced that the Justice Department has charged a former CIA agent, John Kiriakou, for allegedly disclosing information to journalists about a CIA agent who engaged in waterboarding during interrogations. Holder does not prosecute U.S. torturers; he prosecutes those who speak out about U.S. torture. Will Julian Assange be next? “Slavery by Another Name” received a standing ovation from the Sundance audience, and deservedly so. As the crowd filed out, I made my way over to Eric Holder. A young woman requested a photo with him, and I was asked by one of his Secret Service detail to take it. I did as requested. Then I took the opportunity to ask the attorney general a few questions. “Mr. Holder, I just wanted to say how powerful I thought your wife’s contribution was to the film and how great it is to see you here, as attorney general, supporting it.” My praise was genuine. “Thank you, I am a very lucky man,” he responded, warmly and sincerely. I agreed. “Of course,” he replied, adding he is very conscious of the historical legacy he’s creating. The young woman who requested the photo gasped audibly, whispering, “Whoa, this is major,” to the person next to her. Others gathered closer to listen. “Eric” instantly becomes Holder, and responds in the professional manner of a politician. “The release of confidential information is a very serious matter, and we have to draw the line somewhere.” As he spoke, I recalled a conversation at the Manning hearing in December with a senior national security reporter who admitted he felt the news media would be at risk if Assange were prosecuted. 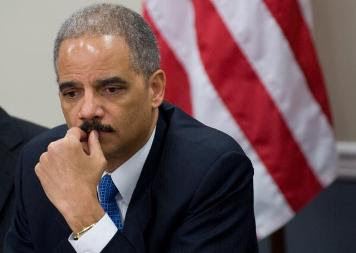 One wonders where Holder’s line will be drawn — and what it will mean for journalism globally. Holder continued to emphasize the grave harm he believes the leaked cables caused to U.S. national interests and “even to countries that [Assange] would likely support,” but that he “cannot get into the detail of the harm caused.” These blanket but unspecified allegations about harm allegedly caused by WikiLeaks’ publications (and those by the New York Times, the Guardian, Der Spiegel, Le Monde, El Pais and numerous other newspapers worldwide) have been common in U.S. government statements. “Then will the Department of Justice state publicly whether or not you intend to prosecute Julian?” I asked.